If only there were more hours in the day…for just about everything, including reading all of those parenting books. We get it. And so does Erica Reischer, Ph.D., which is why she’s distilled parenting advice into 75 solid tips in What Great Parents Do: 75 Simple Strategies For Raising Kids Who Thrive. 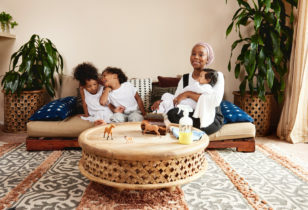 A psychologist, parent educator, and mother, Dr. Reischer summarizes the best practices for a child’s social and emotional development that she’s gleaned from years studying psychology and working with families. Reischer says she hopes her book provides really practical tools so parents can feel more joy while parenting. Meant to be concise and easy to read, What Great Parents Do is one to leave on the nightstand and dip in and out of or skim when you need some advice on, say, combatting whining or taming tantrums. Aimed at the first ten years of a child’s life, most tips (or “chapters”) of the 220-page book are about two pages, and each includes a “Try This” section to help with implementation. “I wrote the book I wanted to have when I first had kids,” Reischer tells us, explaining she wished she’d had short summaries of useful information all in one place instead of a pile of research. Take a look at a few key takeaways from the book below. Acceptance, Boundaries, and Consistency. Above all else, Reischer emphasizes that parenting well is a skill that can be learned. She bases her best practices on three key principles described as the “ABC’s of great parenting”—acceptance, boundaries, and consistency. Regarding acceptance, parents should always communicate to their children that they love them “just the way they are” even if they don’t like their children’s behavior or choices. Kids also need boundaries and consistency. Expectations should be clear and reasonable and parents should do what they say they’ll do. There is so much overlap between boundaries and consistency, she notes. “With consistency, testing of boundaries is minimized since children will quickly learn that you can be expected to follow through,” writes Reischer. Let Kids Have Their Feelings. What is empathy? Possibly the “single most powerful tool that all parents have,” writes Reischer. 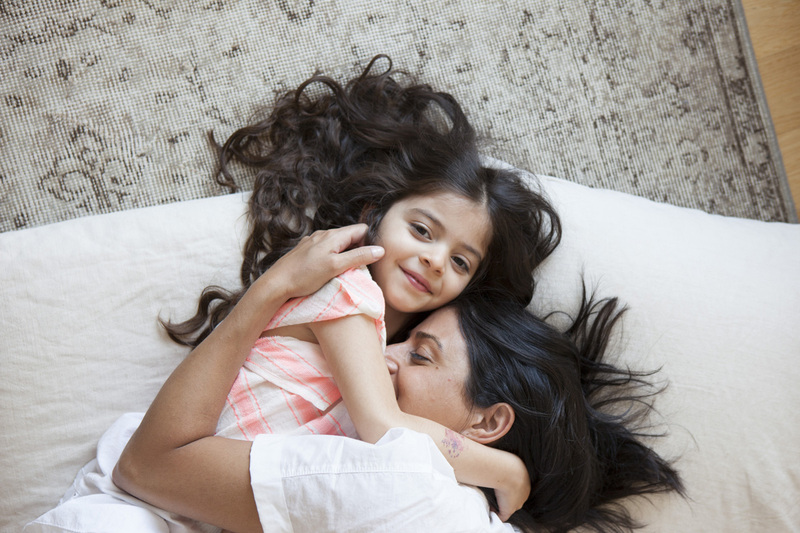 The power to make our children feel understood, empathy is a big part of disciplining kids while maintaining a warm, loving connection. So, how can you discipline with empathy? Focus on your child’s behavior instead of her feelings. “Teach kids to feel their feelings and to choose their actions. Let them have their feelings,” says Reischer. In other words, don’t argue with your child about his feelings. If your child doesn’t like going to Grandma’s house, for example, because he thinks Grandma is scary, don’t argue with him about Grandma or insist that he really should like Grandma. Rather, acknowledge your child’s feelings and perspective, but still be firm that you are going to visit Grandma. One way to respond might be “it’s okay to not like Grandma and think she’s scary and I expect you to go and be polite to Grandma.” Practicing empathy with our kids shows that we are really listening and understanding, or trying to understand, their point of view. If we argue with our children about their feelings, they may come to doubt their feelings/ideas or start arguing about their feelings and escalate the situation, says Reischer. Goals vs. Methods. We’ve all had those moments when our 3-year-old is whining for another glass of milk while we’re trying to finish up an email or cook dinner. Wouldn’t it be easier just to give her the glass of milk already? This is where distinguishing between goals and methods comes in, says Reischer. Obviously, your child’s goal to obtain another glass of milk is a worthy one. But her method to obtain that milk—incessant whining—isn’t. The key is to propose an age-appropriate, alternative method for her to obtain her goal. For a toddler, you may start by acknowledging the child’s goal of wanting a glass of milk, empathizing, and then giving an alternative method, such as, “if you’d like some milk, please say ‘Mama, may I please have some milk?’” Once your child has attempted to follow the alternative method, give her the glass of milk. Oftentimes, as parents, we want to solve the problem here and now, but by acceding to our child’s undesirable behavior, we just reinforce that behavior. “We have to change our behavior or else we are participating in the problem,” says Reischer. Teaching Happiness Habits. 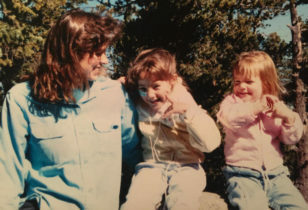 We all want our children to be happy, which doesn’t mean merely filling their lives with desired toys and experiences and giving them “their way.” Instead of focusing on just the pleasure aspect of happiness, Reisher suggests filling your children’s lives (and your own) with these four happiness habits: engagement, meaning, gratitude, and exercise. Engagement includes finding a hobby that one loses herself in (getting into “flow”), and becomes increasingly challenging as one’s skill level rises. Finding meaning (i.e. a purpose bigger than one’s self) in one’s pursuits is also key, and can often come through volunteering or political activism. Meanwhile, expressing gratitude on a daily basis can come in the form of writing thank you letters, keeping a gratitude journal, or a family dinner activity in which everyone talks about what they are grateful for. Lastly, exercise, even if it’s not called “exercise,” is a proven happiness-builder. Make sure you and your kids are moving your bodies as much as possible. For more easy-to-follow ace parenting tips, check out What Great Parents Do: 75 Simple Strategies For Raising Kids Who Thrive.